Functional movement is what we do at Century House. The fitness boom of the 1970s resulted in a wealth of research that contributed to a solid scientific basis of the study of movement. Science, history, and experience tell us that movement is an important part of a healthy, active life. 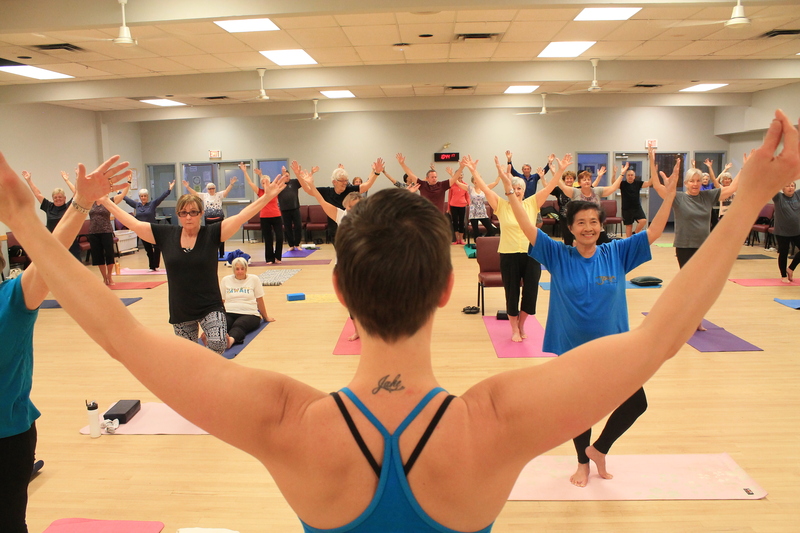 Our yoga program at Century House has grown tremendously over the past few years. Our drop-in yoga classes feature a unique style of yoga hybridized with stretching that allows all levels of ability to take part. We average 30 to 50 participants for morning classes and the focus of the classes are very simple. Participants are encouraged to breathe, relax, and honour their body’s abilities that day. We are mindful of limitations and work to achieve better balance and stability, full range of motion, strength, posture, flexibility, and focus. Our Century House yoga and fitness instructor for the past 12 years is Myken Brooks, who has been instrumental in growing our programs designed to encourage movement. Brooks began teaching because she enjoyed being a participant, but as her knowledge and experience grew, so did her desire to help others achieve their goals. “When I started to teach older adults I immediately saw the impact movement had in their lives and I wanted to do more!” she says. Brooks begins each class with moving the body in all different directions to gently warm up and prepare the body and mind for more strenuous activity or larger movements. This gentle way of getting going contributes to the many benefits of movement that Brooks sees. “There are too many to name them all,” she explains, but mentions increased range of motion, stability, balance, strength, cardiovascular improvements, mental strength, increase in mobility, and more limber muscles as the most important. Brooks’ yoga classes involve a lot of breathing and focus on connecting the breath with the movement. She believes this helps her participants discover the connection between their mind, breath, and body. Other movement options are available at Century House, as well. There are Tai Chi classes, where participants slowly, fluidly, and weightlessly move from one position to the next. Through slow, continuous turning and stretching exercise you can improve muscle strength, flexibility, balance, and reduce stress. Fung Loy Kok Taoist Tai Chi volunteer instructors lead this class through a partnership with the society. 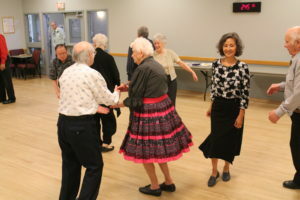 For a faster pace, there are two different dance classes a few times a week – square dancing and line dancing – as well as daily weekday tness classes.